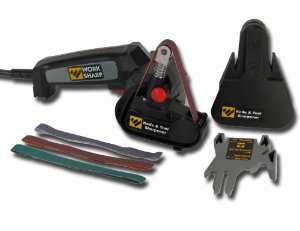 The Work Sharp Knife & Tool Sharpener is the first knife sharpener designed to sharpen every knife you own. Using flexible abrasive belts, the sharpener is able to sharpen not just straight bladed knives, but also curved knives, tanto blades, filet knives, serrated knives, gut hooks and virtually any other shape of knife blade. 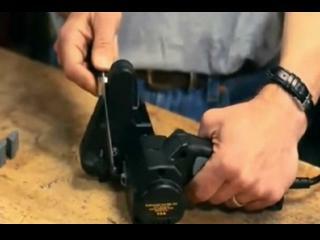 The Knife & Tool Sharpener uses precision angle sharpening guides to ensure that you get the proper angle every time. WSKTS tool sharpener, 40° kitchen knife guide, 50° outdoor knife guide, serrated knife guide, scissor sharpening guide, Abrasive belt kit, Instructional DVD, and User's Guide. Uses the same technology as expensive professional sharpeners! The Combo Knife Sharpener is a complete bench-top solution for sharpening outdoor knives, pocket knives, kitchen knives, and serrations. The sharpener is able to sharpen not just straight bladed knives, but also curved knives. 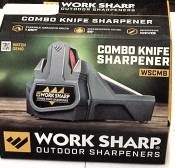 The Work Sharp Combo Knife Sharpener to have at home or at your workbenc. The Work Sharp Combo Knife Sharpener is also able to sharpen other common tools including scissors. The versatility of the Knife & Tool Sharpener makes it an invaluable tool for keeping all your blades in razor sharp condition and ready whenever you need them. WSKTS Knife and Tool Sharpener assorted belt kit includes:(2) P80 Coarse Grit Belts (2) P220 Medium Grit Belts (2) 6000 Fine Grit Belts. These engineered abrasives from Norton and Micro-Mesh are ½ inch x 12 inch. 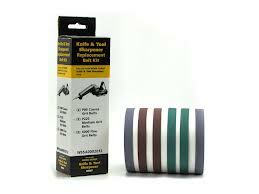 WSKTS Knife and Tool Sharpener belt kit includes: (6) 6000 Fine Grit Belts. A new innovation in knife sharpeners! The sharpening wheel is flexable! It will sharpen your blade with your own coutour. Does not remove a lot of metal from an expensive knife, it sharpens it just as it is without screwing it up! Tri Hone. Fine, medium and coarse grit. Rotating woodblock. Comes with hone oil and 8" stone. Just drag blade through sharpening area 4 or 5 times and it is SHARP! We use these ourselves for general sharpening. 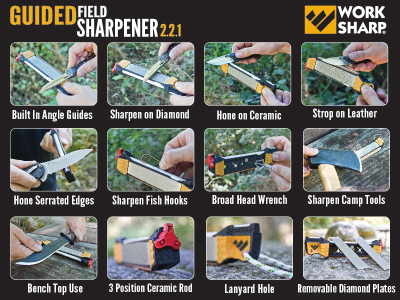 The Work Sharp Guided Field Sharpener 2.2.1. is the complete knife sharpener for field, home or shop use. It is the first Angle Guided, 5 stage sharpening solution designed for sportsmen who need a complete, robust and compact field sharpening solution. Superstick Ceramic Sharpening Stick.1" diameter rod. Wood handle. 16" overalllength. 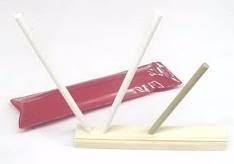 Ceramic Sharpening Stick. 12" overall. Round Magnetic Sharpening Steel 10"
Round Magnetic Sharpening Steel 12"
Designed for heavy usage. Magnetic steel blade attracts metal shavings during sharpening for a clean, sanitary blade. Diamond Mini Sharpener Coarse Grit. Handy with the key ring to put on and use anywhere. Good for anything that needs to be sharpened, pocket knives etc. Sharpens in half the time of others. 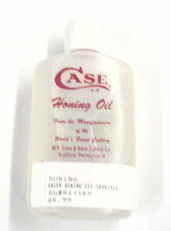 No oils required, just use dry or with water. 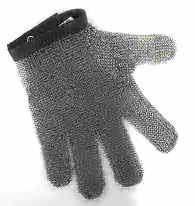 Durable contruction to help you sharpen whatever you need for years. A great product from home, shops and recreational use. Only contains serrated edges, can also sever as mini steel. Good for anything that needs to use on gut hooks and concial file. 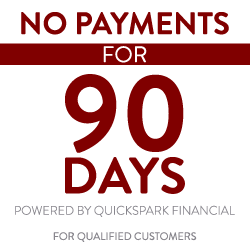 The best product for the home, RV, and the shop. Satisfy all your needs for sharpening. Comes with non-skid rubber feet or shop mounting. 8 7/8" wood base with removable hand guard. Twin aluminum ceramic sharpening rods. Comes in plastic storage bag.